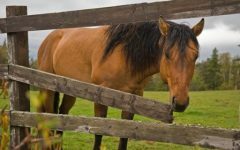 When drawing up a plan for your horse fencing there are some horse fence planning tips to consider for general horse safety and injury prevention. 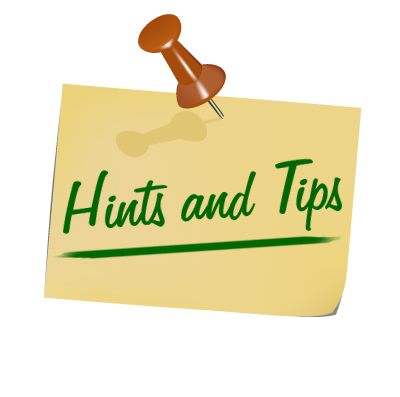 These are a few ideas to keep in mind when drawing up you mud map. 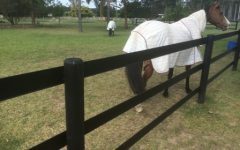 This blog will not address which fencing materials make for safe horse fencing but will consider tips for planning a horse fence. 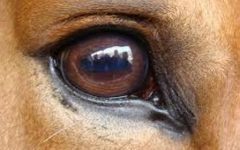 For our advice on which materials to use you might like to follow this link Horse Fencing Materials. 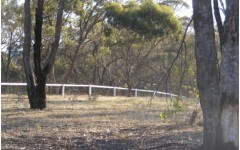 A key factor in planning out fence lines is to consider how to prevent dominant horses trapping subordinate horses. Avoid tight areas behind sheds, between buildings and streams and the like. 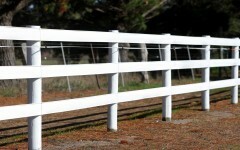 Plan you horse fence to avoid these tight areas or simply fence them off. 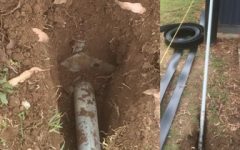 Many horse property owners revert to square lines and worry unnecessarily about losing space when tight areas are restricted. In practice however the best property plans avoid tight areas altogether and when this can’t be achieved make use of fenced of areas for beautification with trees or shrubs and small gardens. Certainly the most valuable properties are attractive and the most attractive properties are not merely a series of plain square yards, so get creative. 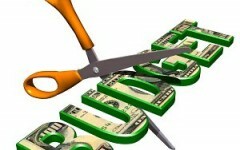 Consider using “living boundaries” in addition to or even in substitution of some formal fencing. 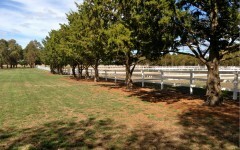 Incorporating the right shrubs and trees into your paddock design can lift the look of the horse property significantly without sacrificing significant space, safety or your day to day efficiency. 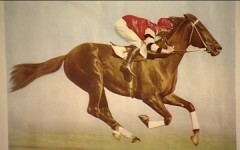 For more information on the use of natural boundaries you might like to read this blog Equos – Living Boundaries. Be sure in your planning to avoid any corners with an inside radius of less than 90 degrees, and consider when possible stepping even those 90 degree corners. 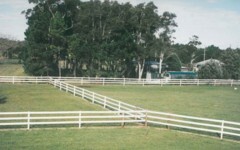 Many horse owners worry incessantly about the potential loss of space when they step a corner, however these steps can leave space for beautification for gardens/tress/shrubs etc… Often visitors to horse properties, in particular those not frequently visiting agistment farms and the like are often surprised by the bland grids of square yards where a beautiful and valuable property could have been. 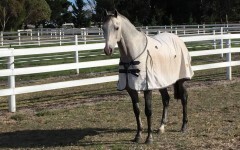 Let’s use our imagination and creativity and design a horse paddock that is both attractive and safe for our horses. 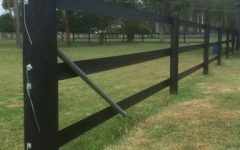 Curved fence lines and stepped corners can be especially attractive particularly near entrances to properties or near dwellings as well as achieving our safe horse fencing goal. There is a compromise with everything in fence design, but we strongly recommend you consider stepping some corners and perhaps using the space for beautification. 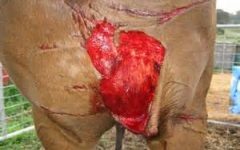 Horse injuries on fencing often occur on dividing fences between paddocks. 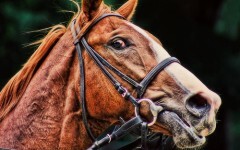 Curious horses often try to interact at the dividing fence, and also startle each other in close proximity. 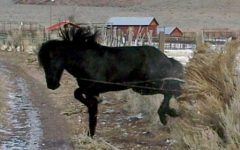 In your planning try to make use of laneways between paddocks (and even access roads) which can reduce potential injuries by separating groups of horses. 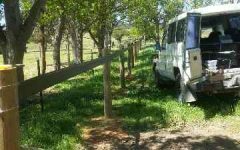 Obviously when planning your horse fencing make sure any natural dangers are dealt with by the fence design like waterways, damns, creeks and steep or dangerous surfaces. 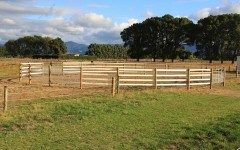 I hope you enjoyed reading our horse fence planning tips and for more information on planning horse fencing click here Blog – You need a Plan.